Fashion meets utility - who would’ve thought it could be possible? Well, with these Danner Men's 17315 EH Brown Quarry USA-Made Waterproof Boots, you can have both. Look good while you get the job done! This premium footwear is equipped with many features, inc ... (see full details) (see specifications) #DNN17315. Fashion meets utility - who would’ve thought it could be possible? Well, with these Danner Men's 17315 EH Brown Quarry USA-Made Waterproof Boots, you can have both. Look good while you get the job done! This premium footwear is equipped with many features, including a 100% waterproof and breathable GORE-TEX® lining for complete comfort. There's also the top-grain, oiled nubuck leather, which provides a natural, rugged look with superior exterior protection. In addition these men's shoes feature handcrafted, stitchdown construction that provides two wider platforms for increased stability under your feet. They're also triple stitched for superior endurance. If you’re worried about the wear-and-tear that sometimes happens to your work boots, then rest assured that the rugged hardware provides a secure fit and long-lasting performance. The new, exclusive Vibram® Quarry outsoles of these American-made shoes features 90-degree heels, oil- and slip-resistant rubber compound, and non-linear lug pattern for superior traction and debris release. Last, but not least, the shanks are fiberglass for even more sturdy protection. Danner’s most popular work boot is new and improved- more durable and sturdy. Make a new you with these improved Danner Men's 17315 Waterproof Quarry Brown Boots! These are USA-made boots, so when you order yourself a pair from Working Person's Store, you'll be wearing quality American footwear. These are close to the best boots I have ever owned. They were a little stiff as expected the first couple of days, but have broken in to my fit quite nicely. Great ankle support and a heavy construction. Working Person store had a great deal on these boots ( Best on the internet) and I don't regret the purchase at all! I have been buying Danner boots for 38 years, and with the exception of one pair of Pronghorn's they have all been excellent boots. Working in the construction industry is hard on boots, and Danner's hold up well to the rigors of that environment. Typically I treat the toe and heel areas with KG Boot Guard for additional abrasion resistance. These work boots are great. They are a little stiff and uncomfortable for the first few days, but after you get them broken in they are amazing. Don't get discouraged and you won't be disappointed. I am going to buy another pair of these when the ones I have wear out. They have really good traction, but they don't have the really aggressive tread that just fill with mud. 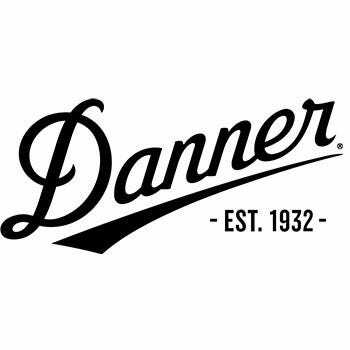 Danner Boots: Men's 17315 EH Brown Waterproof USA-Made Quarry Boots is being added to your cart.